Does Harassment in the Workplace Cause Trouble for Your Customers? Do You Know What to Do if You Get a Complaint? 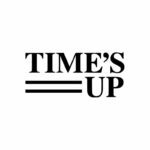 With the current issues coming from Hollywood and Politicians, along with the #metoo and #timesup campaigns https://www.timesupnow.com/, everyone from small business groups to large corporations are seeing an increase in complaints. People are stepping up, and Supervisors and Managers are having to deal with it. In most places “it is the law” that a complaint must be acted on, and if one doesn’t, it can be costly. Your Customers might not see it directly, but there are most certainly service breakdowns caused by this issue. One big problem, “it can be awkward”, and then avoidance or uncertainty of “what to do” creeps in. Things can get uncomfortable – quickly! We’ve found, one reason it gets avoided is it’s most likely “a skill gap”. Then, if it is not handled or dealt with reasonably and responsibly, the problem gets bigger. AND, it is not just about sexual harassment, nor just about laws (which can be very different in each jurisdiction). The course will be interactive, discussion based, with actual skills practice so that manager’s and supervisors are comfortable in the conversations when dealing with the complainant, the alleged harasser and any witnesses. Sample templates for interviews will be provided and best practices to prevent it in the first place. Most large organizations update and conduct an annual review of their harassment policies and put training place, but what about smaller organizations who haven’t had to really deal with the problem head on – until now. What are the Costs of Awkward Avoidance? The costs are just too high when leaders of organizations are not prepared, or they lack the confidence and skills. Legal costs, potential compensation awards, the time, plus managing any possible retaliations, or bad feelings among team members, let alone the stress for everyone, or often worse, even the loss of employees, then add the costs to rehire and train all add up. The biggest cost is the emotional stress which can be devastating. “One complaint is too many”. Disclaimer: Do your own search for your jurisdiction to be sure of your answers (and/or get legal assistance where necessary), however you should get the point with most of these questions to determine what you know, or may need to learn. We will be discussing the answers during the training. Myths and misconceptions downplay the seriousness of harassment complaints and complicate the understanding of what has occurred. They can also contribute to a work environment in which people affected are reluctant to report them, either because they fear being blamed for what happened to them (victim blaming), or they think they will not be believed. They also shift the responsibilities from the alleged offender to the complainant. Conduct must be sexual in nature to constitute harassment. One incident of unwelcome conduct can support a harassment claim. Harassment occurs between a man and a woman in different positions of authority. An employee must be a direct victim of harassment to make a formal complaint. If the offender’s intentions were good – for example, it was meant to compliment someone on how great they looked, or to make a joke; the conduct does not constitute harassment. Harassment can occur outside the workplace and still be considered work related. A company can be held responsible for the harassing actions of non-employees in the workplace. If an individual tells a manager or supervisor that s/he has been harassed, but asks the manager/supervisor not to report the harassment, the manager/supervisor should respect their wishes. In order to be considered valid, information related to a harassment complaint must be based on business, not personal evidence in the office. If an employee complains about workplace harassment and an investigation does not prove the allegations to be true, the accused offender’s supervisor or manager may discipline the employee for filing an unfair complaint. CONTACT US – Bring this program in-house! Posted in: Customer Service Tips. How Do You Define Harassment? Could Hidden Harassment Issues be Hindering Your Service Levels? Take the Mall Parking Lot Personality Assessment! 5 Reasons Why Online Reviews Count Today!! 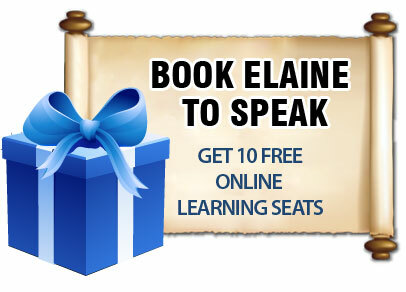 Does Online Learning for “Customer Service” Skills Work? The Changing Face of the Customer – Are You Ready For “Age Friendly” Customer Service?